They work collaboratively with partners to ensure that communities are inclusive, to enable the most vulnerable to be supported. Al Muntada Trust believes that a reduction in poverty, improvement in health and an access to education are vital for communities to thrive. In 1989 they opened the Al Muntada School in west London with the aim to educate Muslim children to a high level of secular education, and to be proactive and valuable members of society. 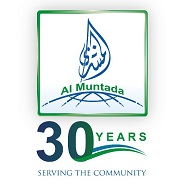 For nearly 30 years, Al Muntada School has been at the heart of west London, educating children age 4 to 11 years. Children attending the school gain a high quality education in an inspiring environment where they can shine whilst praticising their faith with confidence.